Mainstage at Bakehouse Theatre, Thu 1 Mar. For the next hour, Mengele is invited by Azra to reveal who he is, what he has done and, most disturbingly, how he feels about his life’s work. She expertly feeds him words and ideas which he embraces and elaborates upon and yet, even when the truth is laid bare, Mengele cannot see the extent and impact of his monstrous ideas and actions. Tim Marriott excels as the unrepentant epitome of evil. To give credibility to the notion that a monster like Mengele would truly believe that he should be admired for his despicable acts is no mean feat. 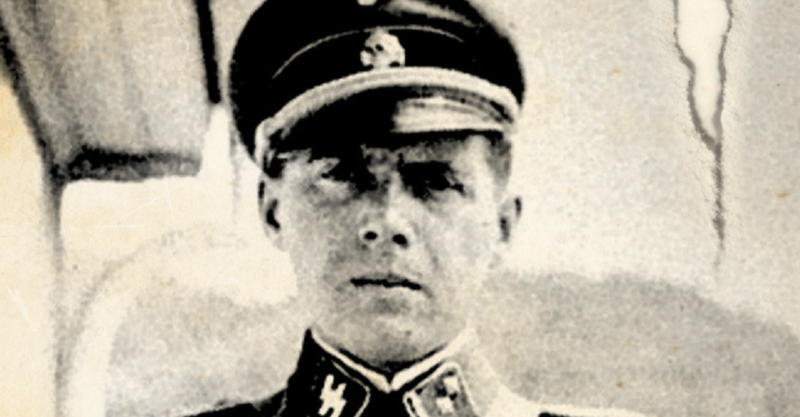 Marriott’s Mengele is measured when initially discussing his life, becoming self-serving and pompous when addressing his foul science, and incredulous when encouraged to account for his actions. Adelaide-based Stefanie Rossi is equally superb as Azra’il, the agent of reckoning who very skilfully provides Mengele with enough rope, bit by bit, with which to hang himself. Superbly written, the dialogue constantly bounces from one to the other and, despite perhaps knowing where the story is headed, there are enough emotional twists and turns to keep the audience wholly engaged. The sombre audio-visual interludes only amplify the magnitude of Mengele’s crimes against humanity. Inspired by Right To Live, Philip Wharam’s novel, Mengele is a powerful production and, despite its uncomfortable subject matter, deserves to be seen. Mengele is Part 3 of Guy Masterson’s #LestWeForget season. Mengele continues at Mainstage at Bakehouse Theatre from 7.30pm until Sat 17 Mar. A powerful production that deserves to be seen.